This is going to be fun! You have most likely heard of the mannequin challenge. This is when someone or a group of people freeze in place, and someone snaps a picture. There are some really cool challenges out there. Singers and other notable figures have gotten involved in the craze. The mannequin challenge can also be implemented in the classroom. Students can freeze in place to show their reaction to what they have learned. Look at these 10 fun mannequin challenges you can use in your classroom. 1. Show the response to a reading passage. A finger to a temple could show questioning, a surprised look could show one understands, etc. 2. Freeze as they work in a group to solve a math problem. 3. Use frozen gestures to show how they feel about what they have just read. 4. Act out a scene from Westward Expansion, early colonialism, etc. 5. Act out the parts of speech in language arts. 6. Freeze to show what should be done or proper behavior when working in a group. 7. Act out what has been learned about simple machines. 8. Act out the laws of motion in science. 9. Act out the different weather patterns. 10. Act out a math principle. For example, They can act out the properties of multiplication, addition, or exponents as a group. 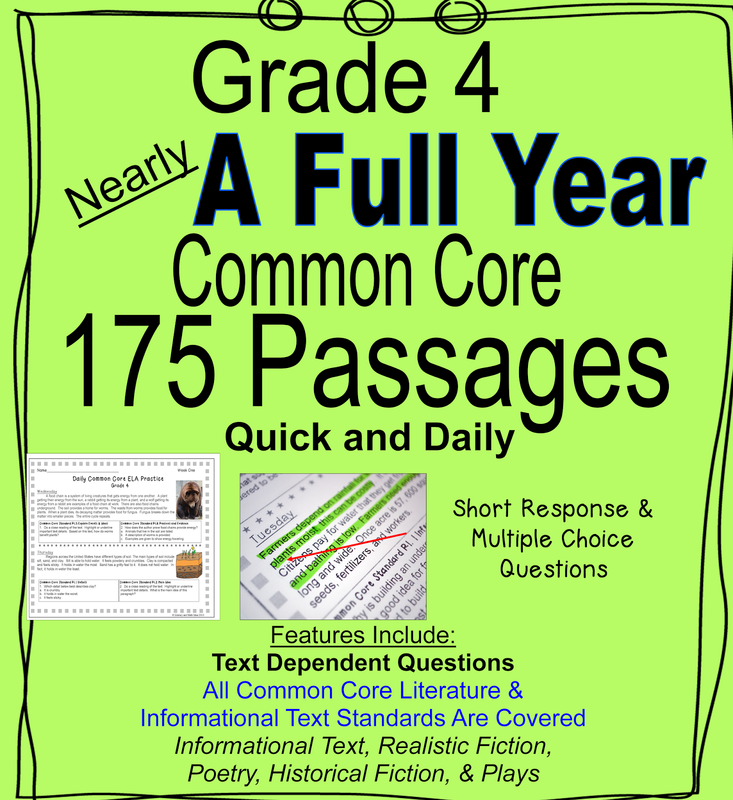 --Daily Reading Comprehension Practice--- These high-interest passages review the Common Core Reading Standards in just five minutes per day. Historical fiction, realistic fiction, poetry, informational text,drama/plays, fantasy, and science fiction passages are all included to give your students quick, daily practice at your grade level. 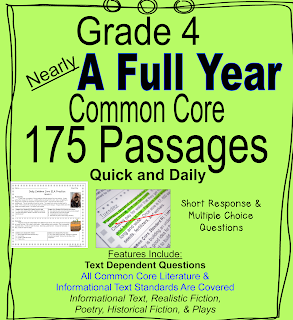 Common Core Standards are written right next to each short passage for easy progress monitoring. Best of all, the passages are thematic so each week, students build important reading, science, and social studies knowledge as they review each standard.